Lots of measuring, lots of numbers. 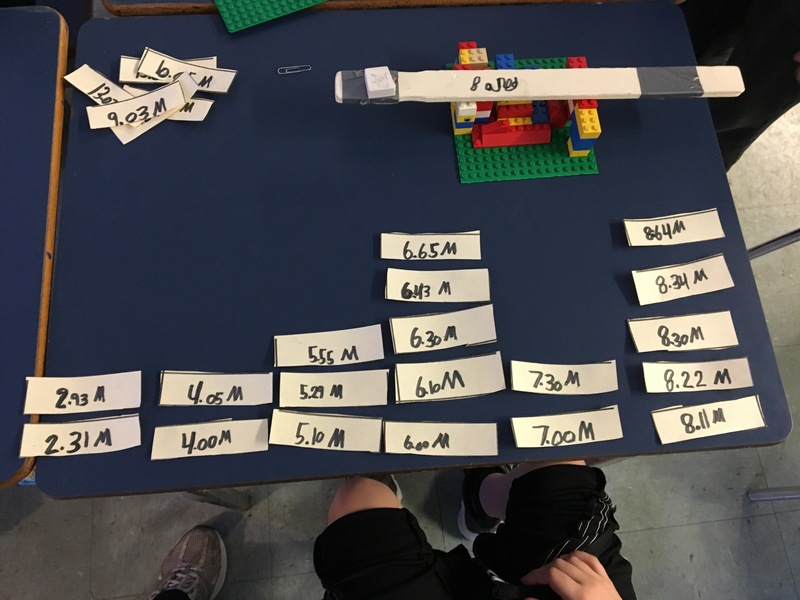 I think good quality measuring projects give kids lots of practice using not only interesting units and types of measurement, but also decimal numbers. Here are a couple of good little projects that get to the heart of the matter (namely the math) pretty quickly, but also allow for some hands-on fun and creativity. I get my kids to bring in an old paint stir stick (which we reinforce with duct tape and popsicle sticks) and a big ziplock bag full of random lego (and at least one green platform piece). Kids build a lego fulcrum, a stir stick arm and a bit of eraser as the projectile and get ready to let it fly. 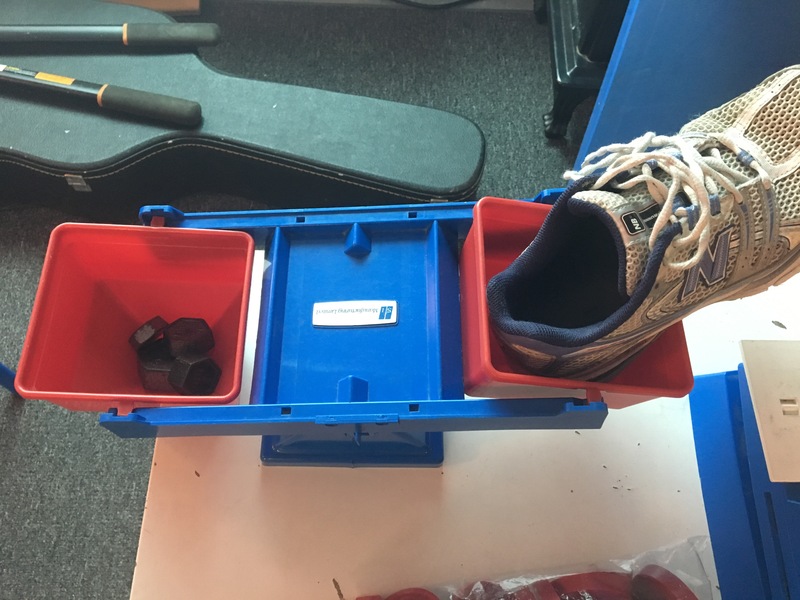 I give them an assortment of measuring tools to share (meter wheels, meter sticks, measuring tapes…) and give them some time in the gym to record their measurements. They record their measurements as accurately as possible (no rounding) with meters as the main unit. Then we discuss the results in terms of consistency, averages and outliers. In all, this project takes very little time…maybe a week or two at most. 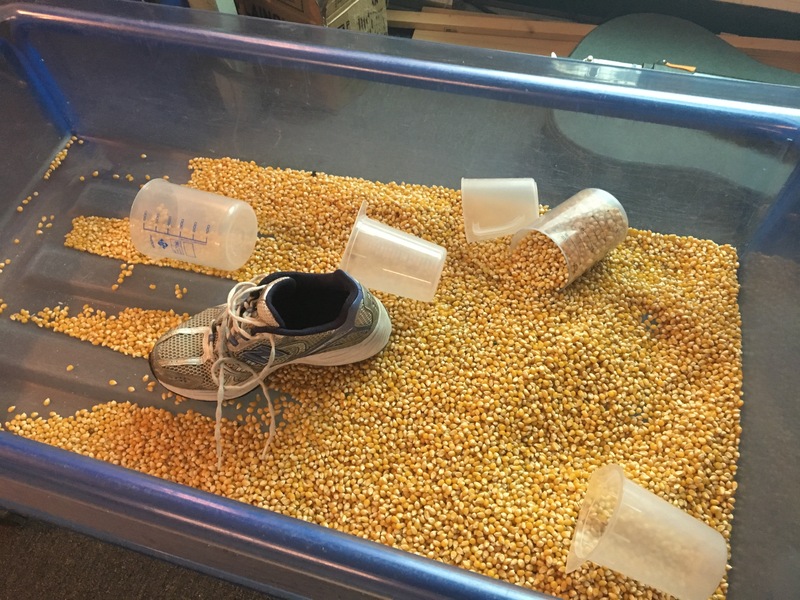 I know you’ve probably done something like this before, but have you measured the capacity of each shoe using popcorn kernels? Or weighed them on balance scales? 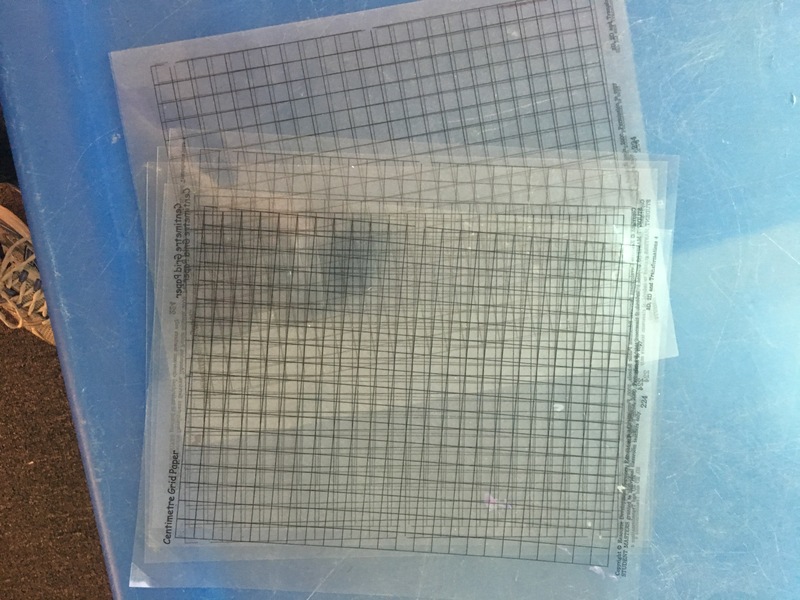 Or calculated the area of the footprint using cm grid transparencies? I also get the kids to measure how far the shoe travels from point to point in the school (using meter wheels). 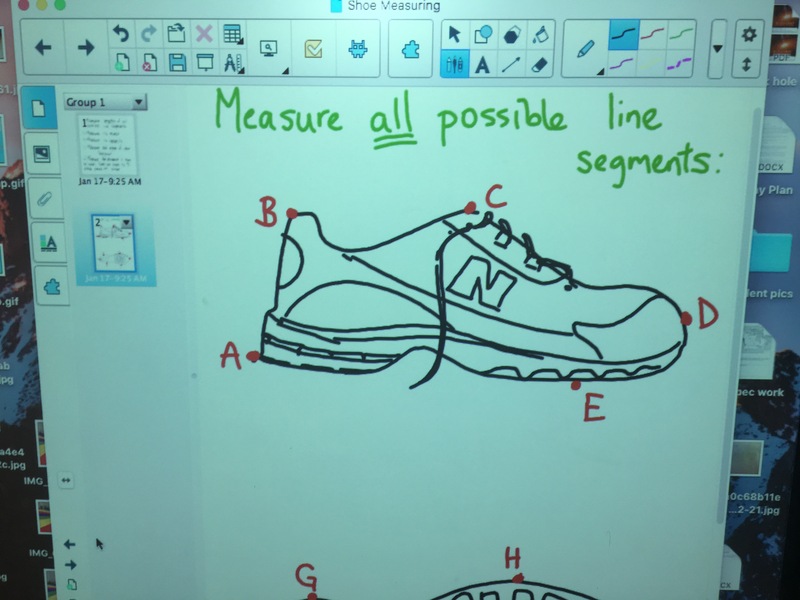 Finally, I get students to draw their shoes (side profiles and footprints), assign points around each, and measure and record the length of all possible line segments. This is actually a good little puzzle in and of itself. How long did it take? 3 math periods. Great little project. I envision a similar project using mittens or baseball caps or crafty, kid-made boxes (I mean rectangular prisms). Right now, we are drawing maps of their imagined territories in Social Studies. Lots of opportunity to measure areas and perimeters, and calculate distances between points based on map scales.